Burton Albion have signed Port Vale striker Justin Richards on a free transfer and Leicester defender Tom Parkes on a six-month loan. 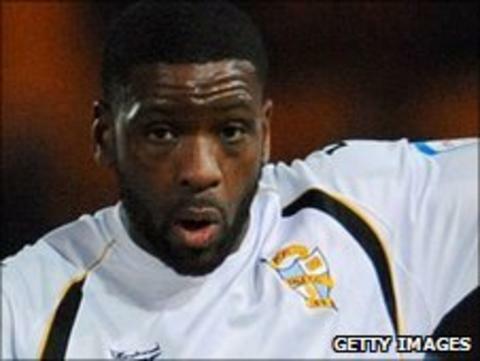 Richards, 30, has signed a two-year deal after scoring 15 goals in 50 appearances in his one season for Vale. Burton are Richards' 13th club, with his most notable spells coming at Woking, Kidderminster and Cheltenham. Parkes, 19, returns for a third period at the Pirelli Stadium after stints last season and in 2010. Manager Paul Peschisolido said: "I'm really happy to be able to bring Tom back in. "He adds more depth to our defensive options and is a quality player, especially when you consider how young he still is." Parkes is yet to make a first-team appearance for the Foxes and had a trial with fellow League Two side Crewe Alexandra earlier this month. The former England Under-17 international has made 27 appearances for Burton Albion, scoring one goal. "He knows the club and most of the lads here know him already as well," added Peschisolido. "I'm delighted to have him on loan again for an initial six months."